Justin Morrill grew up in Strafford, Vermont and had to leave school at age 15. He desperately wanted to attend college, yet his family did not have the means to send him. This did not deter Justin’s intellectual curiosity. He became self-educated in business, architecture, horticulture, and politics. 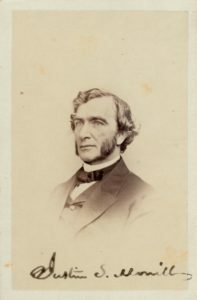 He entered politics in 1854 and served in both the United States House of Representatives and Senate for nearly 44 years. Morrill’s 1862 Land-Grant Act, followed by the second Act in 1890, allocated the funds from the sale of federal lands to support new Land-Grant colleges and universities that taught agriculture, business, engineering, mechanics and home economics. Today the 105 Land-Grant colleges and universities have over 25 million graduates worldwide. Senator Morrill’s Homestead in Strafford, Vermont, a prime example of Gothic Revival architecture, is a Vermont State Historic Site and open to the public May 25 through October 13. To learn more about the life and times of Senator Justin Morrill, his homestead and educational programs, please contact us. The Senator Justin S. Morrill State Historic Site is located at 214 Justin Morrill Memorial Highway in Strafford, Vermont, 05072—only 20 minutes from Interstate 89 (Exit 2) and Interstate 91 (Exit 14). From Interstate Highway I-89, take Exit 2 at Sharon and drive northeast on VT Route 132 for 6 miles to South Strafford Village. In South Strafford take a left at the intersection onto Justin Smith Morrill Highway and drive 2 miles to Strafford Village. The Senator Justin S. Morrill State Historic Site is located on the right-hand side of the road at the south end of the village. From Interstate Highway 91, take Exit 14 onto Route 113 North/West and drive 2.2 miles. Turn left onto Tucker Hill Road and drive 2.3 miles. Turn right onto Route 132 toward South Strafford and travel 4.7 miles. Bear right onto Justin Smith Morrill Highway and travel 2 miles. The Senator Justin S. Morrill State Historic Site is on the right. 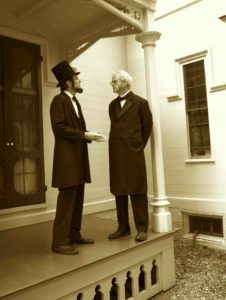 In 2019, the historic house is open for tours from May 25 through October 13, Wednesday through Sunday from 10:00 AM to 5:00 PM. Tours are conducted on the hour. Admission is $6.00. Please call (802) 828-3051 or (802) 765-4484 ahead of your visit for any changes in hours. Self-guided tours of the gardens may be enjoyed during daylight hours at no cost. Outdoor interpretive signs, including images and maps, reveal the fascinating stories behind the kitchen garden, the ornamental Victorian gardens and Morrill’s historic orchard. 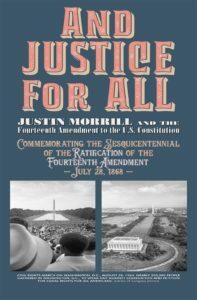 In addition to being a historic site, The Senator Justin S. Morrill State Historic Site is alive with programs, events, and exhibits. 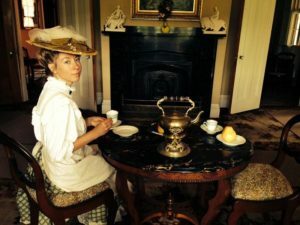 Each year, though the collaborative efforts of the Friends of the Morrill Homestead and the Vermont Division for Historic Preservation, the beautiful Homestead is the site of a variety of educational, insightful and always entertaining happenings. Check this year’s events and plan to visit! You can even book your place securely online. 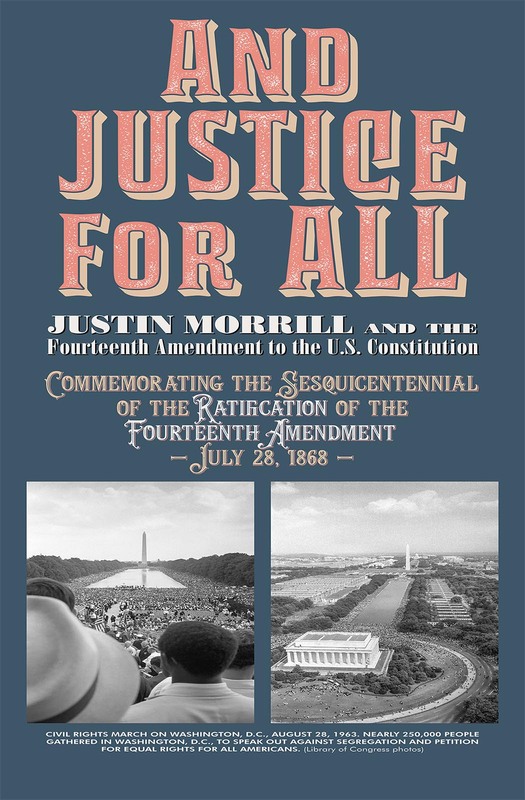 The Morrill Homestead celebrated the Sesquicentennial of the Ratification of the Fourteenth Amendment with a display in 2018. Follow this link to see exhibit online.